Like I just stated in my last post... 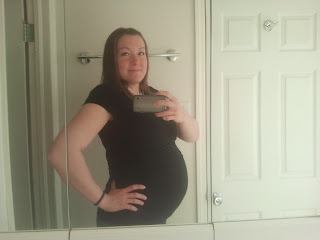 It has been a long time since the last time I blogged. Here's the thing, I bet you're all wondering what happened to my drama. Here I was blogging about Jacob and Josh and wondering why my life was so complicated, and then all of a sudden I just cut you all off. I didn't mean to... I just didn't know what to say. Anyway, here is an update for those of you who don't already know.I am currently dating an amazing guy named Tyler Sargent. He is honestly the most respectful guy I've ever known. I have been dating him for about 2 and a half months now and it is awesome. He makes me laugh all the time, and I love finding random fun things to do with him. He always seems to be thinking of kind things to do for me, and I find myself amazed in some way everyday. Alright, now that I've done some ranting and raving, I'll tell you a little bit about what has been going on the past 3 months. After Josh and I broke up, PAUSE! I don't have any blogs that refer to Josh... or Jacob. Hmm... Well quick recap... sheesh, here I thought I'd cut everyone off from my dramatic love life saga when in all reality I didn't let you in on the saga in the first place. I suppose there was ONE post about them, but it was really late and I removed it because it was incriminating. wow... ok so I had a thing for this guy named Jacob. We had a thing going spring '08 down at snow and that extended through the summer. 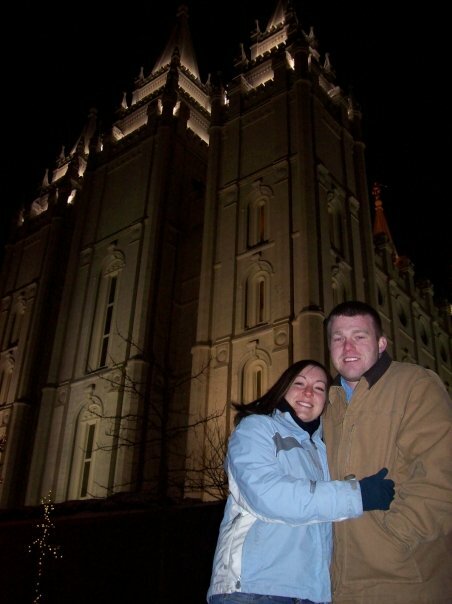 We talked about dating when we got settled in up here at USU if a complicated situation with an ex-girlfriend didn't result in marriage... yeah. that is complicated and I doubt you feel like reading about that right now. He didn't marry her... but we realized during that time that we would not have much potential as a couple long term anyway and we make good friends. After I moved up here and Jacob got into a very complicated situation, I decided to date around in the mean time. I met a guy named Josh at church on the first sunday up here. We hit it off and started dating pretty much immediately. He was cool... but had just had his heart broken and was in no state to start another real relationship so soon. I realized after he broke up with me that I was glad because I was not my best self around him. I lowered my standards to feel accepted... yeah. So during all this time, I was friends with a nice guy named Tyler (yes the one mentioned above). He was getting to be good friends with my roommate Jessica, and I was really hoping they would hook up because I thought it would be pretty sweet situation. I kinda ignored him except for being friendly enough that he'd want to keep coming over... but to see Jessica. He did keep coming around... only Jessica wasn't always here. He'd listen as I would complain about Jacob, and then about Josh, and he'd give me smart advice that I didn't want to hear. When Josh and I broke up I tried to see if things between me and Jacob would pick up again... but I already told you about that. Tyler and his roommate Steve started to hang out with us more and more, but I was determined not to like Tyler because I was sure he wasn't what I was looking for. I was wrong. He just doesn't show himself to people up front. The better of friends we became, the more I realized he is more what I need and what I want than I knew to look for. I couldn't help but develope stronger feelings for him, and luckily, he felt the same way about me. So we've been spending a lot of fun time together, and we've enjoyed some long talks. During the Christmas break we ended up spending a lot more time than we thought we'd get together. 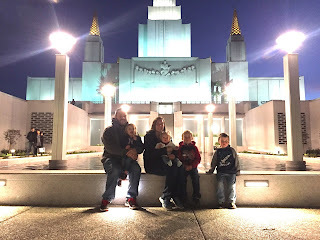 We got to go to SLC and visit the temple to see the lights. We stayed for all of about 10 minutes because it was sooooooooooo cold!!! We got a few good pictures though! At the beginning of the break his grandfather died and I was lucky enough to accompany him to the funeral services. His family is so welcoming and kind to me. I feel so loved. Then he was brave enough to come to 2 family christmas parties... the Stone family Santa party (so brave) and the Bushman family BINGO party (also incredibly brave). Now we're back up at USU just trying get ready for classes to start again in the morning. Hey! (I hope you don't mind me reading your blog, since I did not see my name on your blogroll!) But I am glad that you have a man that is treating you right. You deserve it. He was really nice and VERY BRAVE to come to the Bingo Party. I did not really get to talk to him, but I am very happy that you are SOOO happy! Brittney, I don't mind you reading my blog... I don't know why you're not on my blogroll... weird. Umm...he's cute! I'm very happy about that, and I'm VERY happy you're happy. What I really hope is that it's a happily-ever-after-non-dramatic relationship, because you could use less man-drama in your life. :) Keep us posted! I was totally waiting for the engagement story at the end of that. Oh well, but I do hope I don't find out off of your blog! Love ya!